The operators has also launched an introductory offer with these plans; the first 100 users will get the 3G plans at the price of the 2G plans. All of the above given plans do not come anywhere close to providing good value for money. We personally feel that no one would like to opt for these plans given their price. Also, the free usage being offered with the plans: 500 KB and 1MB is definitely very strange. This is what we call as being truly MTNL (if that’s a typo!). Also the 30-50p per KB data charge will surely get your pockets empty. Overall, the plans are a complete disaster and we hope they are modified soon. Hahaha..Could not control myself laughing due to these super silly plans….Hahahahaa!!! Before writing “Strange isnt it?? 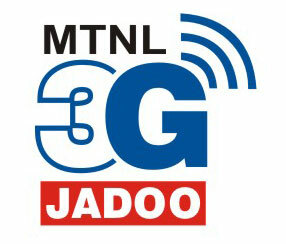 ?” compare it with all other Blackberry service provider like Idea,BPL/LOOP,Vodafone,Airtel and other. I think that’s the better way to review the plan. The plans are a joke. But, there is a logic. MTNL & BSNL are the only 3G providers for now and may remain so for quite some time as the 3G Spectrum Auctions don’t seem anywhere near. They have clear Monopoly/Duopoly whatever and can charge anything they want. I guess very less people would sign-up who have money to burn on this. For me I’ll get into 3G when it becomes competitive and I can make low cost video calls to my dear ones. But this really is strange. Why are these operators even offering 0.5 Mb or 1 Mb of free usage. Dont’t you’ll think its somewhat very less of an offering for 500/1500 bucks. Also, the per kb usage charge of 30p and 50p is way damn expensive. With the speed you would get in 3G opening a regular website page would cost you 10-12 bucks. I definately agree with the idea of waiting till this 3G market gets a bit competitive, because these data plans sound insane. I think there’s a typing mistake on MTNL’s part…It must be 500MB!! No Attah, even we thought the same. but as azad rightly said, its a practice being followed by all operators – even ur Loop Mobile (pls read the new post). The concept of free usage of 500 kb doesn’t make much sense, especially with 3G services. All the operators have more or less similar tariff structure.MTNL Mumbai’s Blackberry 2G tariff is very attractive one.Charges beyond free usage are only 10paise/KB ,while same in other like airtel is 50 paise or 15 paise depending on plans.